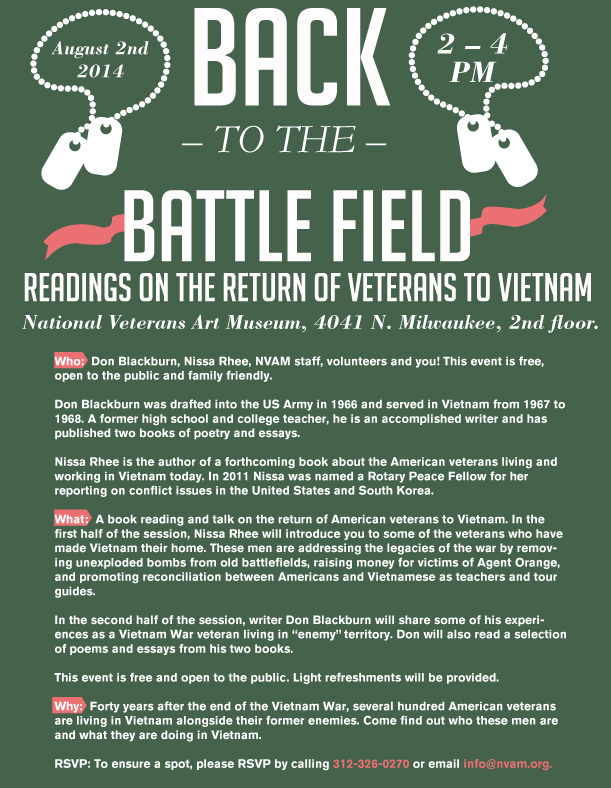 The National Veterans Art Museum has invited me to speak about the return of veterans to Vietnam on Saturday, August 2. If you’re in Chicago, I hope to see you there! Also, if you missed it … Narratively featured my profile of Don Blackburn — the vet who will be joining me at NVAM — on their Facebook page yesterday for Throwback Thursday. You can read my piece here.